Click Here To See a LARGER scan of this Great Double Page Spread! Click Here To See PUBLISHED Spread From Comic Book! 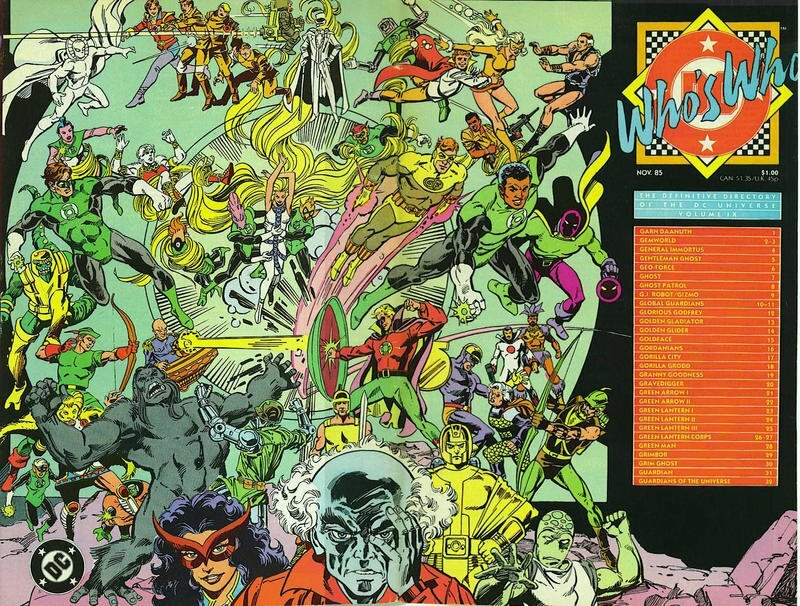 Click Here To See Who's Who Of The DC Universe #9 Comic Book! Check out this AMAZING PIECE! 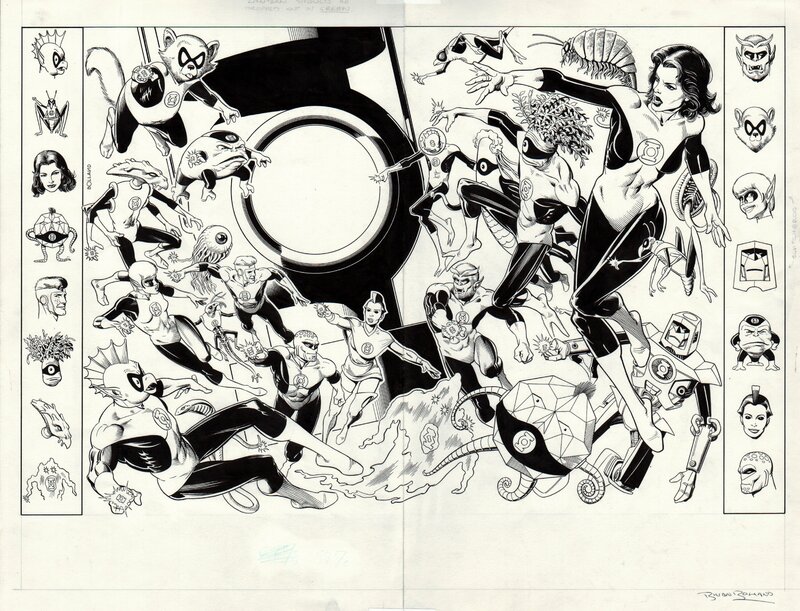 This stunning double page SPREAD was penciled and inked by the great Brian Bolland! EVERYTHING you see is drawn art! Every head on the left and right sides are all DRAWN ARTWORK! 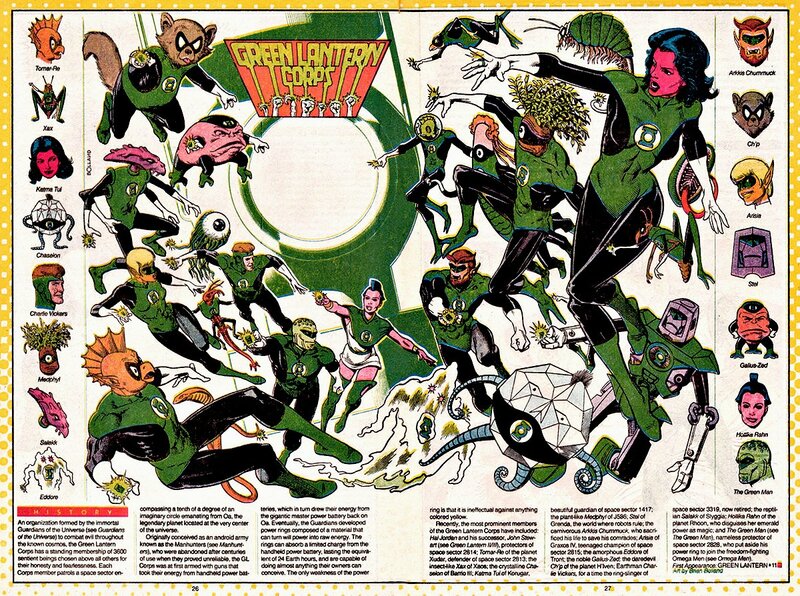 The entire Green Lantern Corps and a giant power battery is featured on this GREAT piece, which is the absolute largest published piece you'll ever see drawn by the great Brian Bolland! 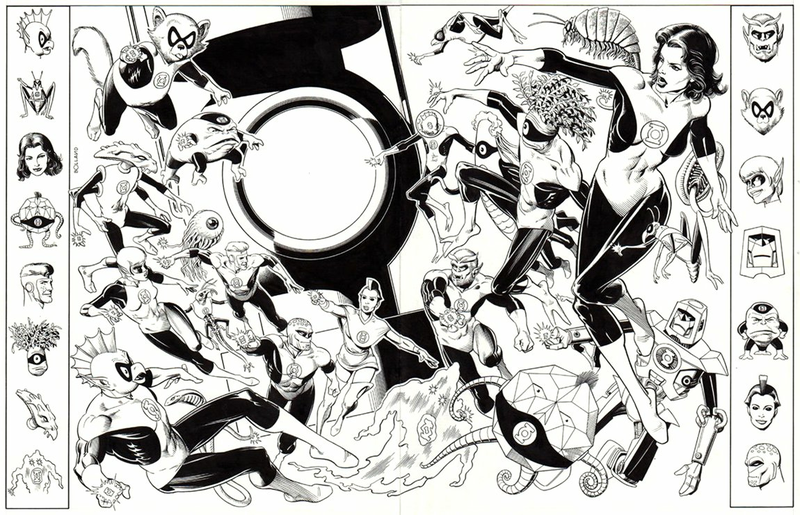 This great piece features the ENTIRE Green Lantern Corps: [Green Lantern [Tomar-Re]; Green Lantern [Xax]; Green Lantern [Katma Tui]; Green Lantern [Chaselon]; Green Lantern [Charlie Vickers]; Green Lantern [Medphyl]; Green Lantern [Salaak]; Green Lantern [Eddore]; Green Lantern [Arkkis Chummuck]; Green Lantern [Ch'p]; Green Lantern [Arisia]; Green Lantern [Stel]; Green Lantern [Gallus-Zed]; Green Lantern [Hollika Rahn]; Green Lantern [The Green Man]] It's a beauty. Compare this nice double splash to the published comic book spread in the red link above! ALL HIGH end pieces of art, including this one, are able to be purchased with VERY fair time payment plan options, and trades are always considered towards this and "ANY" art on our website! Just send us an email to mikeburkey@aol.com and we can try to work something out.